Welcome to September! The air is cooling down ever so slightly (days in the 90s not triple digits!) and we’re eagerly anticipating Fall. This in-between month can be challenging for us but we hope you like what we’ve pulled together! This month’s new ingredients include fresh pears, salted caramel, lime, and quinoa! We have some returning favorites from last September, like our Sweet & Salty Panini and Jacked Up Turkey but were most excited about this month’s grilled cheese Can you say peeeecans? We hope to not alienate our friends who prefer “pechaaans” with this sweet one of salted caramel pecans, goat cheese and bacon! Let us know what you think! 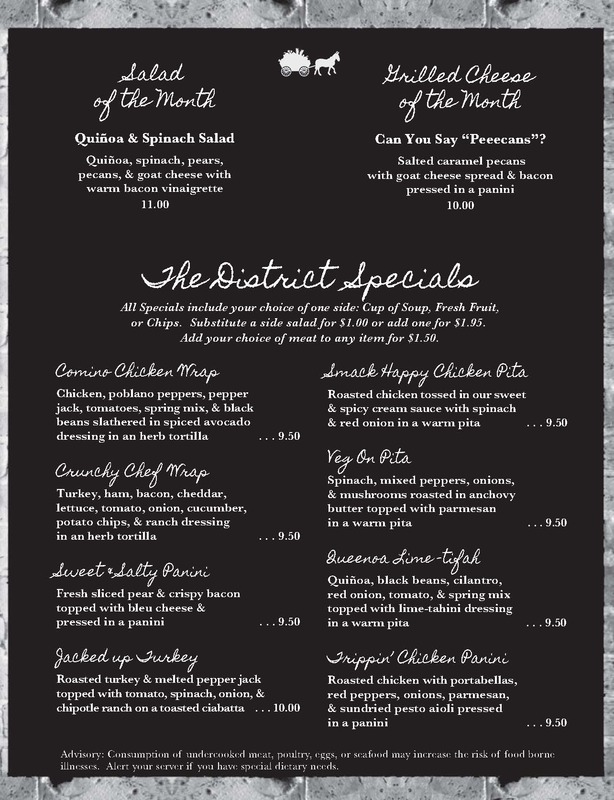 Full list of specials below! ← August is peachy keen!